Abstract: From 4 to 7 May 1439 a massive tournament (235 participants) was organized at the Grote Markt in Brussels, in which the Burgundian duke Philip the Good himself participated. 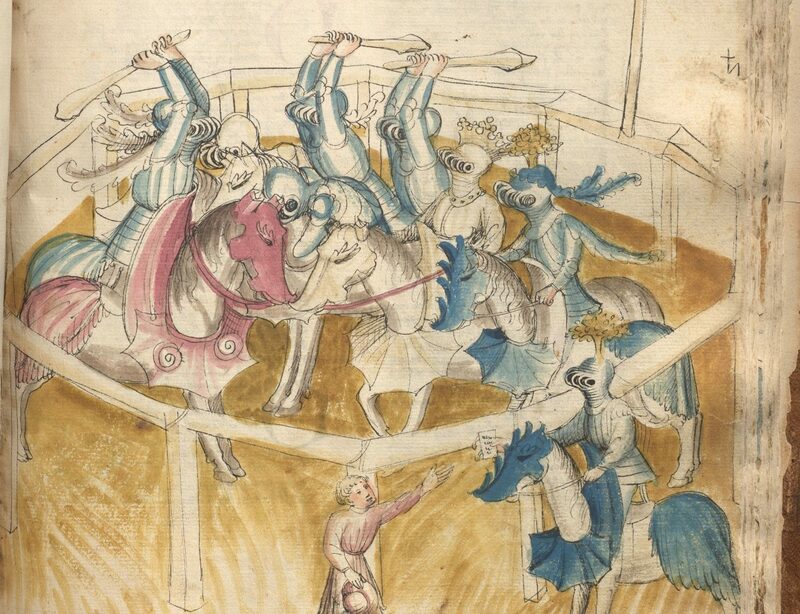 This tournament was maybe one of the last in the massive (urban) melee-style in the fifteenth century. This article demonstrates that both the town and the duke had an interest in the organization of this tournament. The duke and his household officers were happy to exhibit the splendor of the court to the citizens of Brussels, the nobility of Brabant and the international community. The town considered the tournament as a stimulus for the local economy. At the same time the chivalric event would position Brussels as an attractive residence for the Burgundian duke. Introduction: Richard Vaughan characterised the 1430s as the ‘critical decade’ for the formation of the Burgundian state. During the first years of this decade the Duchy of Brabant and the counties of Hainault, Holland, and Zeeland were successfully integrated into the Burgundian personal union. In 1435, the Congress of Arras brought Burgundy peace with France but war with England. This resulted in widespread social unrest in the Flemish towns, and eventually Bruges openly rose up against the duke. However, by the end of the decade Philip the Good had succeeded in establishing peace with both his internal and external enemies. In the first months of 1438 the Bruges revolt was effectively suppressed and from December 1438 Duchess Isabel of Portugal was conducting peace negotiations with England in Gravelines. In 1439, the good diplomatic relations with France were further strengthened when Philip the Good’s son, Charles of Charolais, married Catherine, daughter of the French king, Charles VII, on 11 June in Saint Omer. Top Image: A tournament with batons. Nürnberg, Germanisches Nationalmuseum, Ms. 998 f. 227r.